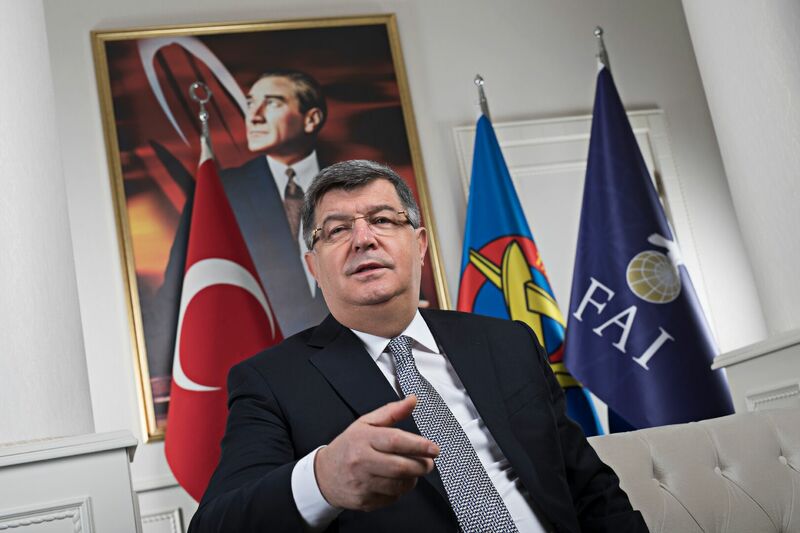 Defence Turkey: Mr. Kürşat Atılgan first thank you for your time for this interview. Could you briefly inform us about the activities, duties and responsibilities of the Turkish Aeronautical Association (THK)? It is necessary to take a brief look at the history of the Turkish Aeronautical Association (THK) in order to explain its fields of activity and its duties and responsibilities. THK’s responsibility is within the National Spirit and National Consciousness that exist in our State. For this reason, our Institution was born on February 16, 1925, 16 months after the proclamation of the Republic, on the orders of the Great Leader Mustafa Kemal Atatürk himself. The Turkish Aeronautical Association has developed a vision and strategy to carry Turkish aeronautics winged with the aim of “The Future is in the Skies” to carry forward scientific, technical, sportive and commercial aspects, and today it has become a structure that is not unique in the world. 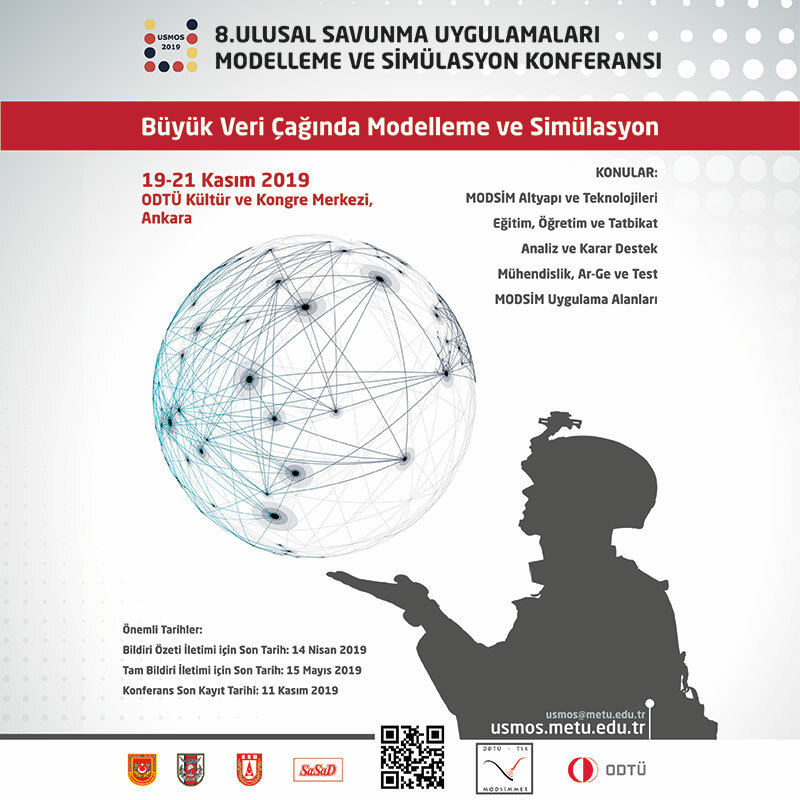 THK is active in every field in order to bring the Turkish aviation above the level of contemporaneous civilizations, closely related to today and tomorrow of aviation, researching and developing. On April 23, 1926, it established the “Airplane Machinist School” for the purpose of establishing the technical staff of Turkish Aviation. In the same year, we built “Kayseri Aircraft Factory” again. Thus, in 1926, THK had an organization that manufactured the airplane, trained technicians, and trained pilots flying them. The point that should not be overlooked here is that the Turkish Aeronautical Association has given life to such an institution by allocating resources for a nation that has emerged from a tough struggle like the War of Independence and is starving toughness. In the following 10 years, Turkish Aeronautical Society donated 351 airplanes to the Turkish Armed Forces, which they produced or procured. Sportive aviation is at the heart of the aviation industry. All of the basic inventions of aviation have been thanks to amateur sport aviation. In those years, THK set up a very serious vision in the field of sport as well as industrial and technical activities, and 4 years after it was founded, it became a member of the International Aeronautical Federation (FAI), the sole international body for sporting aviation). We have been representing our country successfully in air sports branches all over the world since that day. Nowadays, THK is resolutely continuing to create a Turkish Youth with THK Aerospace University (UTAA) which started teaching in 2011, that is training a generation whose target is space, to meet the majority of the pilot needs of our country, to have a wide range of technical maintenance skills with its affiliates, to provide health services through helicopters and ambulance helicopters, to organize training, demonstration, national and international competitions in all branches of Sportive Aviation, to walk to future with the nation arm in arm with almost 400 Turkish Aeronautical Association Branches scattered throughout Turkey, to fly with all free trainings given to young people in Aviation and Training Centers in Ankara-Etimesgut, Eskişehir-İnönü, İzmir-Selçuk, Antalya-Karain ve Erzincan. Defence Turkey: What are your responsibilities and duties in terms of delivering training and certification of athletes of sportive aviation branches such as free parachute, gliding, paragliding, sailing wing, model airplanes as the only authorized authority in the country by World Air Sports Federation (FAI) which you have been a member of since 1929? THK is the only institution that holds the responsibility of Aviation Federation and is officially recognized by FAI which has 110 member countries as the only official NAC (National Air Sport Control) institution of the country. This state has been expressed in the THK code that is approved by the Decree of the Council of Ministers. As a requirement of its founding purpose, THK, bears the liability of “Turkey’s Air Sports Federation ‘’ as stated in the decision of Council of Ministers. Only one NAC is recognized by the FAI as the official representative in each country. Therefore, THK, carries the authority to organize national and international championships, to determine the national team athletes to be sent to the First Category contests such as World and European Championships, capable of providing FAI license to deserving athletes who want to participate in other official international competitions and is the only official body authorized to register the ratings and records obtained in the official organizations organized in Turkey. As a requirement of this situation, every year we organize national and international championships and competitions in all branches of sport aviation in accordance with the FAI agenda. Our goal is to train athletes worthy to represent Turkey and to maintain and raise the reputation of Turkey in the World Air Sports Federation which has been long existing and already deserved. As you know, THK organized World Air Games for the first time in FAI history in Turkey in 1997. After these games, air sports have entered another era in our country as well as in the world. Defence Turkey: When you consider international standards, how do you evaluate the global scale position of Turkish Sport Aviation with regard to its pros and cons? First of all, it is necessary to specify that THK is a structure that has been subject to an unprecedented nation support and admiration and has achieved firsts in all areas of aviation. When we look from a sportive perspective, world countries usually stand out by individual formations or just with a sporting branch or discipline. For example, in a country, a certain group of people come together with the purpose of a hobby and carry on a branch that they may like through their own means or through sponsors. However, under the roof of THK without exception all branches and disciplines of Sports Aviation in Turkey are carried out. There is an academy for every branch within our organization. What I say is not an easy task because aviation is a tiring and expensive business. Therefore, it is not possible to sustain a Flying Turkish Youth goal without effort and financial support. Thankfully, THK is able to offer air sports which are expensive and demanding to our youth with the material and spiritual support of the supreme Turkish Nation. Every year about 7000 athletes are trained at THK Aviation Training Centers. This number reaches up to 70.000 per year together with the athletic branches and clubs of the schools affiliated to the Ministry of National Education, Public Education Centers, and the athletes raised by THK in the regional courses opened in various regions of our country .The number of countries that can approach this number on a global scale is very few. There has been a partial reduction in the number of competitors and athletes due to some of the negativities experienced in the recent years. With the measures we have taken and will take, we have gone through restructuring process and we will train top level athletes in the upcoming period. Our goal for the 5th World Air Games, which will take place in our country in 2020, is to receive medals with the Turkish athletes from every branch. Defence Turkey: You are getting ready to perform World Air Sports again in Turkey in 2020 that you first performed in 1997. Certainly it was not easy to make the re-organization of such a large performing in Turkey after twenty three years. Could you briefly evaluate this process and the preparations made? As a country with significant competence in this field, what would you like to say about the added value of this organization that will benefit the country’s economy? World Air Sports were awarded to Turkey in a very difficult period. Bringing it to Turkey, especially the period in which western world made unfair accusations and propaganda against Turkey, is great importance to Turkey. The idea of bringing this huge activity to Turkey emerged in 2016. As Turkish Aeronautical Association in 2017, we took a serious struggle with a smart strategy. At the end of the process, the United States, Malaysia and Turkey remained in the short list. With the infrastructure capabilities of THK and using the advantages that our country’s facilities and geography have provided us, we have entered into an aggressive struggle. In the end Malaysia was in our favour. We faced the US. Finally, it was given to Turkey with the support and consensus of World Aeronautical Federation (FAI) organization’s board’s vote. THK’s brilliant and personable performances in this nearly 100-year history, the first performance of the World Air Sports in Turkey in 1997 by THK have affected to FAI that rightful prestige of THK on FAI. There are 110 active member states within the FAI, where THK has been a member since 1929. Our expectation is that at least 75 countries will join the 5th World Air Sports. We will organize air sports in 12 branches in 5 cities. One of our definite places is İnönü education camp in Eskişehir. We are planning a model airplane contest in and opening ceremony of games in Ankara. General aviation acrobatics in Antalya and parachute organization in Izmir are being planned. The location of the balloon is not clear yet, and it will be decided together with FAI. Many countries want to get such big organizations to contribute their tourism promotion. The activity will contribute to the Turkish tourism and the promotion of the country in the amount of one hundred million dollars annually. We will perform the fifth of the World Air Sports. At the 1997 World Air Sports, balloon and paragliding tourism was at the forefront. Today, these two branches bring annual turnover of $150 million to the Turkish economy. After 2020, we will see that these figures are much larger than this, I hope. In the games to be performed in 2020, drone races will be in the forefront. Drone is a fast-developing field with a variety of purposes and potential for use in various fields. As a natural result of this, it has a feature that can create its own economic market. We are on the verge of future investments and agreements in this regard. We are also developing our plans in this direction. Air sports will bring vitality to our tourism for the next 3 years. Test competitions, preparatory steps, international meetings that technical staff will be attended take three years. These three years, the heart of the world’s sporty aviation will be in our country. We are expecting almost to 4.000 athletes and coaches because of air games. There will also be air sports enthusiasts from around the world to watch the contests. In this way, they will experience the wonderful atmosphere of our beautiful country. With the advertisements through media, we will show the efforts made by foreign power groups to create negative perception about the tourism of Turkey does not reflect the reality at all. Therefore, the value that the 2020 World Air Sports has created directly and indirectly will really reach very large numbers. Defence Turkey: What kind of works have you been doing on increasing the country and sports participation in the 2020 World Air Games? Can you briefly inform us about the preparations made in this context and the investments and works planned in this two-year period? First of all, it should be noted that the World Air Games to be performed in 2020 will not be an Air Show, it will be a World Air Games in Olympic format. Competitions will be organized in all disciplines of all branches mentioned in FIA’s sports code document within the scope of this event. As I said, we expect more than 3000 athletes from at least 75 countries. Considering coach, referee, delegation, assistant, kinsmen of athletes and administrators, it can be said that the number will exceed tens of thousands with the fans of Air Sports who will come to watch the games in Turkey, and the heart of air sports will beat in Turkey from 2018 onward. Our plans on sending more athletes to the national and international games organized in training centers and in Turkey, and to the events on abroad are ready for developing our athlete background and increasing our athletes’ international experiences. In this way, we aim to increase both the athletes’ scores in international rank and our country score. Defence Turkey: We see that a significant proportion of the personnel working in civil aviation organizations active in Turkey starts aviation with one of sport branches of the Turkish Aeronautical Association. When we look at the rooted history of our institution, many names that are the pioneers in Turkish aviation history such as Vecihi Hürkuş and Sabiha Gökçen come into prominence. What additional responsibilities does it take for you to be in such a crucial position in Turkish Civil Aviation? The responsibility of having a deep -rooted history and being pioneer in Turkish civil aviation is of course great. However, being one of the national institutions of Turkish Republic, the institution of its nation, and its historical duty imposed by the Republic and the nation should be assessed as an actual and greater responsibility. For this reason training in all aspects of sportive aviation is not enough to fulfill this responsibility. It needs to be understood the quote ‘’ The future is in the skies ‘’ There are a number of aviation and aerospace colleges in the world. One of these is University of THK (UTAA). It is not enough to train only in certain branches here. In addition to supplying human resources to Turkish Civil Aviation, our main responsibility is to undertake research, development and to reach and surpass the countries in the level of modern civilization and to establish Turkish National Aviation with all its elements. When we accomplish this task, we can have the future in the sky. Moreover, this goal will keep its reality as the Earth exists. We direct UTAA, still very young, to this goal as the only specialized university in our country. In addition to UTAA, the investments to be made about the nationality of all the elements of National Aviation are major investments. Construction of national strategies and directing national policies towards the aim as well as the material and moral support of noble Turkish nation are important. THK continues to work with its nearly one hundred years of experience, equipment, awareness of its responsibility to give the biggest contribution to Turkish Aviation in the future like in the past and the determination to fulfill this responsibility in the best way. Defence Turkey: You are the only representative of International Air Cadet Exchange Agency (IACEA). What would you like to say about this program? International Air Cadet Exchange Agency (IACEA) was established in early 1950s and THK has been an active member of IACEA since 1953. The IACE program involves mutual visits to countries by aviation youth for fifteen days a year, aimed at bringing together aviation entrepreneurs of the countries, transferring aviation experiences and passions to each other, and social and cultural aspects of different countries of aviation youth. The program includes both sightseeing and exploration of aviation facilities as well as social and cultural excursions. We have ‘’Young Wings’’ community who are members of THK. Today we have more than 10 thousand young wings in the 16-21 age group registered to the THK Branches. Every year, some young wings are selected by considering the amount of aeronautical activities among others, their academic success, their success in the English examinations, and their work in the THK branches, and are being paid by THK for the expenses of the mutually agreed upon countries for fifteen days. This year, we will send 11 students to Germany, England, Hong Kong and China. The program will be implemented in July. We will also host students from the same countries. We will make these students watch our activities at Aviation Training Centres, and provide them with the opportunities of fly gliders, paragliders, sail wings, jump parachutes at the drop zone in Ephesus. In addition, we organize cultural tours that include historical, touristic and social activities in Istanbul, Ankara and İzmir. Defence Turkey: Eurasia Air Show will be held for the first time this year in Antalya between April 25-29. In this organization, where the final preparations are made, many domestic and international aviation companies will exhibit aircraft on both the static field and flight displays. As Turkish Aeronautical Association, you are one of the institutions that support this organization. In this context, which activities of the Turkish Aeronautical Association will visitors have the opportunity to examine closely? Will your activities and demonstrations be planned specifically for the organization? Would you also be able to inform us about your support for this organization? 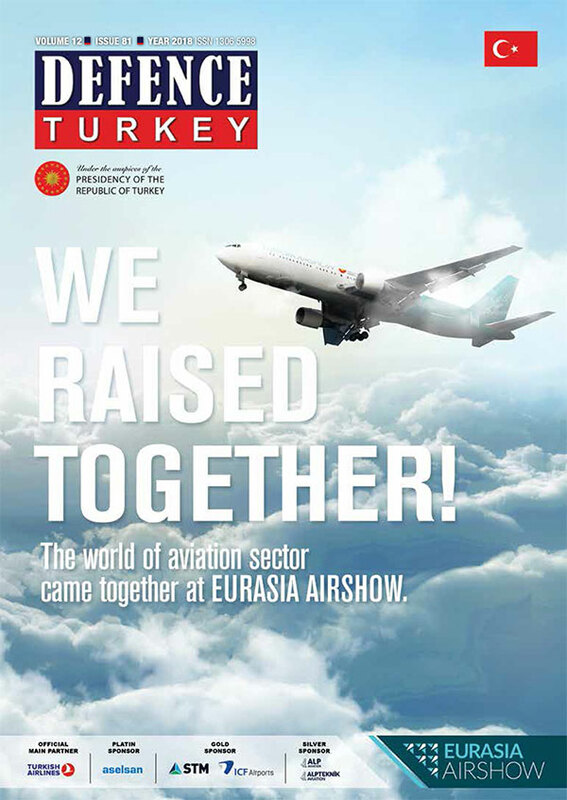 It is understood from the preparations that Eurasia Air Show which will be realized for the first time this year will present us a very successful organization on behalf of Turkish Aviation. Being invited to the organization made us happy on behalf of THK which is the basic building stone of Turkish Aviation. We also invited the FAI President and guests to the Air Show. We will set up a stand to promote 2020 World Air Games. As an institution we will be at the Euroasia Air Show in a wide spectrum. Hot Air Balloon, Glider, Microlight, Gyrocopter, THK Flight Academy’s planes, Ultralights, Powered Paragliding, Sailing wing and 1 CL-215 fire plane will be in the scope of the show. It is possible to perform and view the fire extinguishing exercise in case the Flight of Hot Air Balloon is flying bound to the ground and the operation is available. Our fire plane will be waiting for the station to perform its primary mission in the relative position. One of our C-208 aircraft will be under the control of the Organizing Committee, which will be allocated for aerial photographing on all flights of aircraft participating in the Air Show. We also wanted to add color to the airshow with other air vehicles and parachute jumps. However, we will not be able to perform these demonstration activities due to the scheduled flights to the known Antalya square and due to the high attendance expectation. It is our duty to be present as THK everywhere where there is aviation, and we are delighted with this. Defence Turkey: Sayın Atılgan, lastly, would you like to give a message to the readers of Defence Turkey Magazine?